As Sri Lanka’s tourism and business sectors grow, Colombo’s skyline is stretching higher and the three-wheelers swirling through the streets are multiplying. But beyond the cranes sprinkled along the coastline and the dusty construction sites popping up across the city, lies a question that could have global consequences: how is Sri Lanka powering this growth? This month, a heat wave swept across Asia, a firestorm ravaged forests on the west coast of the United States, and torrential rain storms accompanied by massive landslides killed dozens in Japan. While climate change has consequences that span the globe, Sri Lanka is uniquely vulnerable to the perils of climate disasters. Last year, the UN’s World Risk Index ranked Sri Lanka as a ‘high-risk’ country for climate disasters. 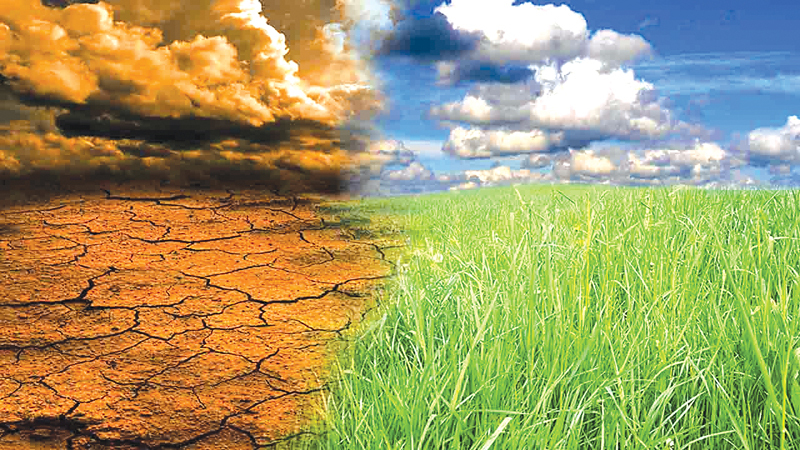 Experts attribute the increased frequency and heightened intensity of climate disasters to a rising global temperature as a result of high carbon emissions in the atmosphere. It is widely known that fossil fuels - coal, oil, and natural gas - contribute to these emissions by trapping heat in the atmosphere, creating what is called a ‘greenhouse effect’. And thus, the country is facing an impasse. Energy must meet increasing demands, but Sri Lanka’s existing infrastructure was built for fossil fuels, the go-to energy source of the 20th century. To climb out too quickly of a system so deeply entrenched could prove destabilising and even debilitating in the wake of fundamental national development. But staying bound to the technologies of the past could have disastrous environmental consequences. Evinced by President Maithripala Sirisena’s cancellation of Trincomalee’s Sampur coal plant in 2015 and subsequent advice to the Public Utilities Commission of Sri Lanka (PUCSL) to approve more coal plants in 2018, the debate around fossil fuels is fraught with conflict and confusion. Sri Lanka is one of 194 nations to sign the Paris Agreement which sets an ambitious goal of net zero carbon emissions by 2050. And within Sri Lanka, the government has set a series of Sustainable Development Goals (SDGs) such as doubling the global rate of improvement in energy efficiency. Stakeholders agree to the benefits of exploring alternative, renewable energy sources - solar, wind, and hydro, among others. But, when it comes to how quickly the shift to renewables should happen or how comprehensive the change should be, finding a consensus has proven increasingly difficult. For some, if there is any hope of reaching the zero carbon emissions goal, Sri Lanka is in a race against time. Coal and other nonrenewable energy sources are too ingrained in the larger system to delay the integration of more environmentally friendly sources. Any addition of coal is a step backwards, and the problem is urgent - inadequate access to energy affects more than half of Sri Lanka and disastrous consequences of climate change are manifesting more regularly. For others, a quick switch to renewable energy poses a threat to the stability of supply and demand in Sri Lanka, and a slow transition may have good reason. Historically, a transition to an entirely new energy sources sometimes took a full century, so some ask - why the rush? At a heated debate on Future Energy Trends in Sri Lanka, organised by the Institute of Environmental Professionals Sri Lanka (IEPSL), RMA Energy Managing Director Dr. Tilak Siyambalapitiya stressed the importance of maintaining balance in supply and demand in the incorporation of renewable energy. 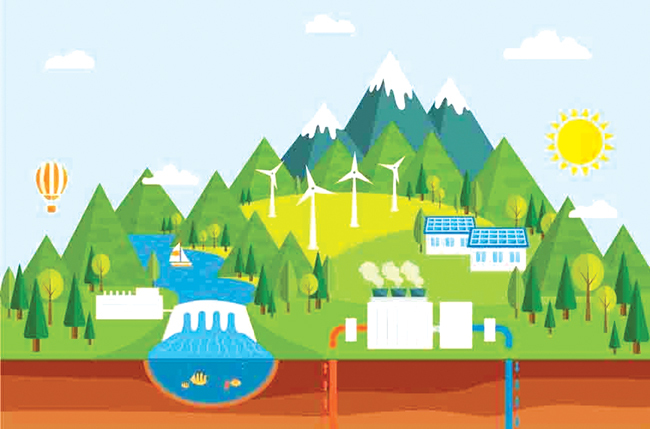 He explained to a crowd of engineers, activists, scientists, and other professionals in environment-related sectors that one cannot just switch renewables from low demand to high demand. Precise estimates are paramount to electricity, he explained. For any given consumer, electricity needs to be available at the ready. One does not turn on a light switch, only to wait a minute for the energy source to catch up. Rather, the light flips on almost immediately - because of a carefully maintained equilibrium. Dr. Siyamabalapitiya fears too quick and careless a transition to renewables could leave people without an adequate supply of electricity. The energy specialist cautioned that people should not be overzealous about advancements in renewables. 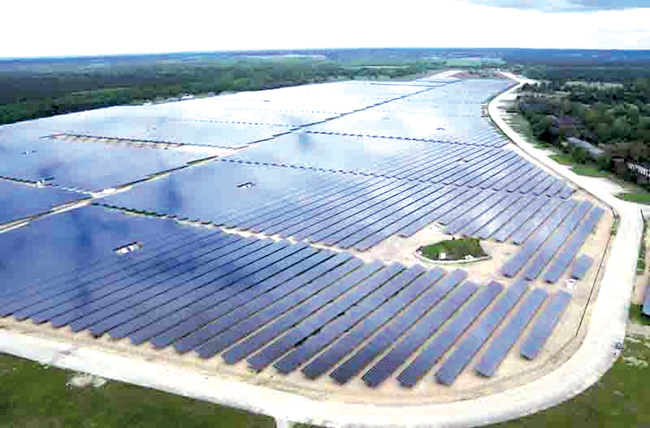 “Both wind and solar can have battery systems, but electric power systems do not run on ongoing research, they have to run on proven research,” Siyamabalapitiya said. Because building a renewable energy plant can take years, he says these energy sources have a long way to go before they can be fully functional and reliable. In his opinion, it is vital, in the meantime, to continue using coal to maintain a baseline stability. “It will take some time, but until then, we have to live with the mix of traditional and emerging options,” he said. Chief Engineer at the CEB, M.B.S. Samarasekara echoed Siyamabalapitiya’s sentiment, emphasising the complexity of the situation. “We are looking at a whole system, not one particular source,” he said. Samarasekara believes power plants are an inevitable part of the future and calls for regulation rather than eradication. “Mediate the impact, don’t shut down the power plant,” he said at the event. In some cases, the power plant’s impact is not mediated. In April 2018, it was reported that Norochcholai’s Lakvijya coal plant was running without a proper environmental licence for nearly a year. Operating with a dysfunctional electrostatic precipitator (ESP) for over a month, the plant was releasing heightened levels of fly ash, killing nearby sea life and endangering those around the plant. Containing heavy metals like arsenic, lead, mercury, and cadmium, among others, fly ash is associated with a host of health problems from respiratory ailments like asthma and chronic bronchitis to cognitive problems to various kinds of cancer. Even within regulations, coal can be detrimental to health. A 2017 study in China found that people who used coal to heat their homes in the winter had a lower life expectancy by three years. High cardio-respiratory mortality suggested the shortened lifespan was tied to inhalants in coal emissions. Some argue that Sri Lanka is doing relatively well compared to high polluting countries, but Hemantha cautions against complacency. “We think we can still produce more carbon,” he said. “That’s rubbish.” In the end, all emissions are going into the same atmosphere, he explained. Samarasekara said we have not explored our options, referring to nuclear energy, and Siyambalapitiya listed petroleum as another unexplored option, but Withanage argues CEB engineers are not doing enough “thinking outside of the box” with regard to renewables. To meet the zero emissions goal, changes need to be drastic and immediate, says Withanage. “Unless you start building those renewables right now, we don’t have time to do it,” he said. Withanage said Sri Lanka has a lot of potential for wave power, but nobody is investing. Reservoirs are not being used to their water storage capacity. And energy conservation is nowhere to be found. “If you go to any store, they are using about ten times the amount of light than they should,” he said. Few would argue against having a lowered monthly electricity bill from electricity conservation, but the fight over coal usage remains financially complex. Some argue coal is cheaper and in order to stay relevant in the global market, Sri Lanka must compete with countries with cheap energy, like Malaysia. And if doing business in Sri Lanka easily precludes making business eco-friendly, the question becomes one of priorities rather than pragmatism. But Withanage took issue with that stance. He said coal is becoming so expensive, the change to renewables could happen by market factors alone, especially because renewables are getting cheaper. Imported all the way from South Africa, coal is big chunk of the 56 percent of Sri Lanka’s energy that is dependent on outsiders. 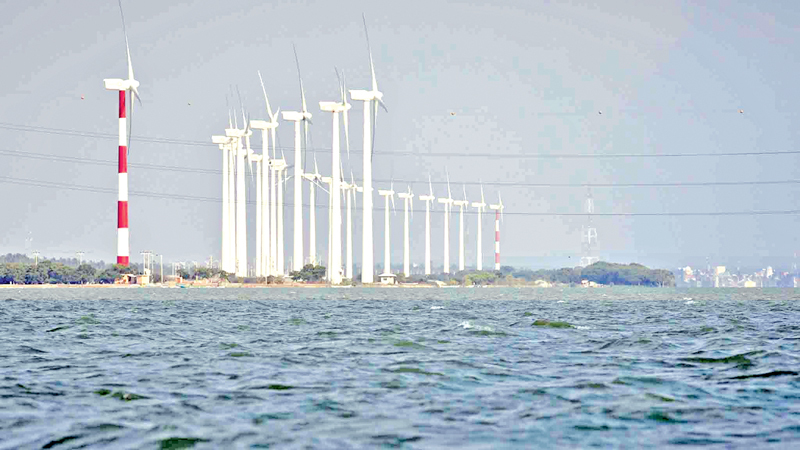 Focusing on renewables could shift some of the responsibility back to Sri Lanka, harnessing the power of the island’s rich natural resources. Withanage also raised the question of what all the energy is powering. These projects, he says, are not for the development of Sri Lanka and are, by socioeconomic measures, unsustainable. Essentially, he believes Sri Lanka is getting ahead of itself. He suggests there is much more to do domestically to better the lives of citizens before building five star hotels and world-class restaurants. Such developments are for wealthy foreign businesses and tourists, he says, and he fears that with the opening of Colombo Port City, tourism may shift away from the more rural parts of the country that are currently benefiting from the inflow of funds from foreign visitors. At the end of the IEPSL event, an impassioned audience raised similar questions. “Why are we giving cheap energy to outside companies?” one particularly frustrated person asked, referring to foreign companies operating in Sri Lanka, “You have a captive market, you raise the price,” he added. Concerns about Sri Lanka’s own development aside, if the focus is, indeed, upward growth, Sri Lanka may be in a stalemate. If there is inadequate infrastructure and energy to power tourism, the sector is sure to suffer, but if the environment is destroyed and species are devastated as a result of climate change, tourists might not come in the first place. It is a heated debate, with health, financial and even cultural implications, and it is one that is sure to rage on.